All dogs are special, but living with a pit bull really is different. You know how loyal and lovable your dog is, but your life can be affected by the breed's undeserved reputation. 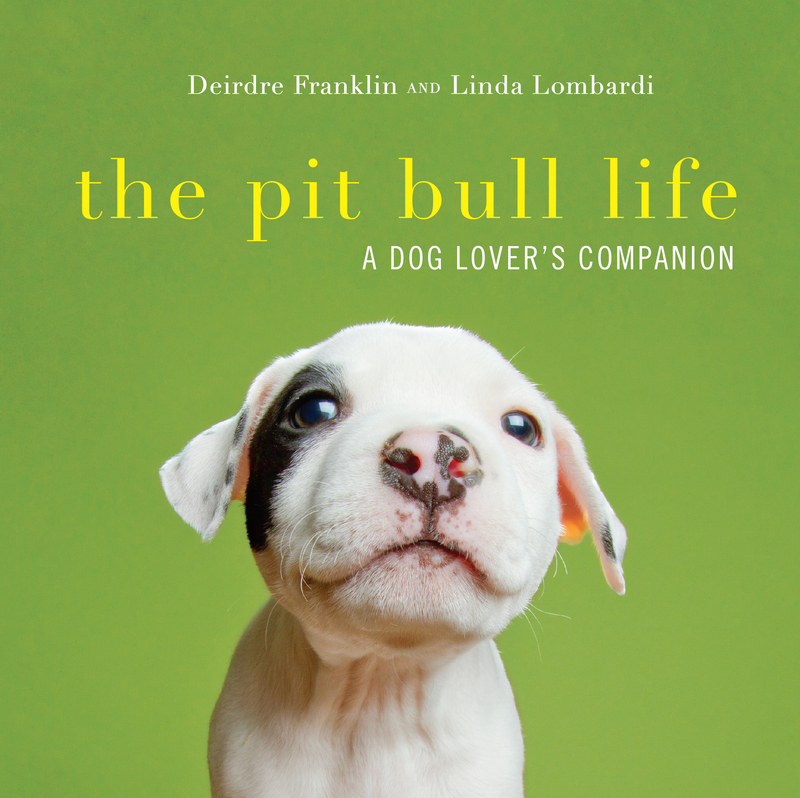 The Pit Bull Life celebrates the everyday joys of owning a pit bull—from their boundless energy to their love of life—while providing helpful facts and strategies you need to counter unfair laws and policies you may face. You'll learn the history of how the pit bull got to where it is today and what you can do to help secure its future. You’ll also find practical advice about breed characteristics, how to find a good match, and how to communicate with your dog, along with inspiring stories of people who've devoted their lives to this very special dog. Deirdre Franklin is the founder, president, and soul behind Pinups for Pitbulls, Inc., an education and advocacy group that helps shelters and animal rescues around the country. She earned her Master's degree in public policy at Drexel University and wrote her thesis on breed discriminatory laws. She has garnered many accolades for her efforts in dog advocacy, including the Wallace Award, by championing the relationship in the human-canine bond. She lives in Asheville, NC. Linda Lombardi began her writing career as the pets columnist for the Associated Press. She is the author of Animals Behaving Badly, a humor book based on science and the news, and the Hannah Lilly series of zoo mysteries. Her hands-on experience with animals includes work training shelter dogs and as a zookeeper with small mammals, reptiles and amphibians.